Sheltrex has selected BuildTrack Smart Office Automation as a solution for their office in Kurla, Mumbai. 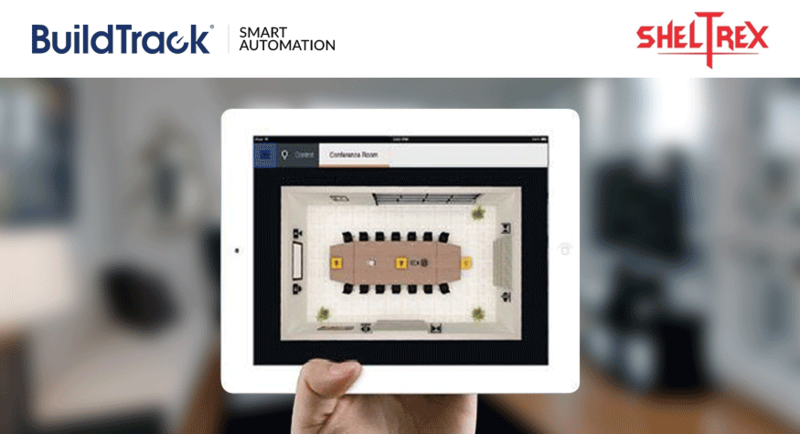 BuildTrack Office Automation planned at their Kurla office includes, remotes and capacitive touch switches for conference rooms; Wireless motion sensors for meeting rooms, and all cabins. BuildTrack remotes are unique in their ability to allow control of existing switches to operate lights, fans, and any other electrical devices and to create scene profiles. The wireless motion sensors work with existing switches to turn off lights and fans when people have left the room, thereby reducing energy bills. Sheltrex is a developer of affordable housing intensive townships and uses technology as a differentiator. Sheltrex has been incubated by “Brick Eagle”, a private equity fund headquartered in Hong Kong, which is focused on catalyzing the affordable housing market in India. At present Sheltrex has projects spread over approximately 300 acres in Chennai and Coimbatore and at present is on the verge of launching their latest property in Karjat.